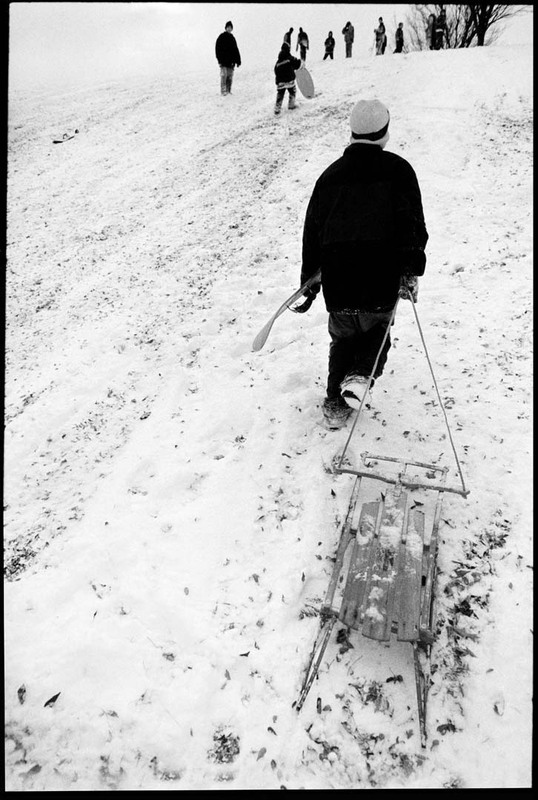 Anthony Jones drags his sled behind him as he trudges back up one of the hills in Pigtown's Carroll Park. "This hill is no joke," he said while climbing back up the hill to shouts and laughter from friends at the top. "It's fun going down. Going back up isn't as fun." Snowfall in the neighborhood meant no school, making the hills at the park the destination for many area residents.